Forums » Grassroots Motorsports » Why so Sporty? Here’s something you probably didn’t know about me: I don’t spend a lot of time kicking tires. Once I do my research, I find the right car and pounce. When I bought my Miata all those years ago, it was the only one that I test-drove. 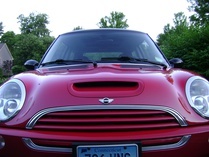 Ditto my Mini Cooper. And Porsche 911. And all those Civics and CRXs. Additionally, every car I have ever owned is what you could call sporty–even the 1982 Accord that I drove in college was a five-speed, which seemed sporty to me because it was way cooler than walking everywhere or bumming rides. So, like I was saying, every now and then I get that itch. During a recent trip up to Michigan to see Carl Heideman, it got itchier–probably because I got to drive his 1966 Plymouth Fury III wagon. Did it offer amazing handling? Nope. Carl and I took it to dinner one evening–along with his boys and his awesome shop manager, Alan–and it was just a delightful summer drive. The windows were down and everyone pretty much had their own space. I sat in the way-back and just watched everyone else relax as the beautiful western Michigan scenery passed by. Carl, ever practical, helped me narrow things down a bit. And, as usual, he was right. Something built past about 1970, he reasoned, would be a bit more practical: headrests, three-point seat belts, and a greater likelihood of having factory air. My grandparents had a few 1971-’76 Chevy Impalas back in the day, so that’s where the search started. I like their Coke-bottle body lines, plus there’s a tingle of nostalgia for me. Those cars now face the donk tax, so I had to scratch them out. The GM wagons from that era, however, are still reasonably priced–easily less than $5000 for a clean one. Plus, they have the totally awesome Glide Away tailgate. Turn the key, and the rear window retracts into the roof while the tailgate slides into the floor. Magic. I kept an eye on the online classifieds until I spied a promising ad: 1975 Pontiac Catalina Safari. It was “just” the regular Safari, not the Grand Safari, so it didn’t have the woody trim, third-row seat or “modern” square headlamps. In my book, I was totally okay with that. It also had the 400-cubic-inch engine, meaning fuel economy would simply be slightly miserable instead of totally miserable. My three main requirements were present: V8, automatic and those all-important chrome bumpers. And the Pontiacness added just the right dash of sport. So my wife and I drove to Orlando to check it out. Turns out it was an estate sale, as the original owner’s adult daughter was selling the car. Dad bought the wagon new, and his wife drove it until her recent passing. With the car came all of the paperwork dating back to the original service. Mileage was about 103,000, and it was totally original and rust free. It wasn’t 100-percent mint, but I’d call it a great driver. The color combo was perfect, too: light gray with a disco red interior. Sold. We didn’t even haggle on price. A couple months later, I can say it delivers exactly as promised. It cruises. It’s like driving a couch. Put it in drive and watch the rest of the world from behind that long, long hood. Even after the most stressful day at the office, I smile as I yank the shifter from P to R.
It’s a nostalgic experience without being too old-timey. The wagon easily cruises at 75 mph. It also runs on regular unleaded gas. The 360-degree view provided by all that glass is just amazing. And despite weighing about 5200 pounds, it doesn’t feel heavy. As a bonus, it carries anything. At about 19 feet long, there’s not much small in this one. And to be honest, I don’t even care about the gas. I figure it’s cheaper than therapy. As a result, I drive it everywhere: the office, the supermarket, dinner, the liquor store, rocket launches, guitar lessons, Porsche club events. Surprisingly, I got nearly 15 mpg while trucking to a friend’s garage party in Tampa. You can follow all the exploits on our Classic Motorsports website, too. And it gets people talking. All the damn time. I have driven a lot of neat cars in my life, from Ferraris and Vipers to Jaguars and Porsches–including my own. I can’t remember anything that got this much attention. Senior citizens ask about it. Little kids step on their tippy-toes to peek inside. I get comments and questions in the Publix parking lot. And when pumping gas. And at the bowling alley. And at stoplights. And today, at a little lunch cafe near our office. I’m not in it for the attention, but it’s neat to see people interested in a car, even if it’s something that was once shunned as a simple peoplemover. (True story: My parents only recently purchased their first wagon.) At the end of the day, remember, we play with cars for one simple reason: to have fun. 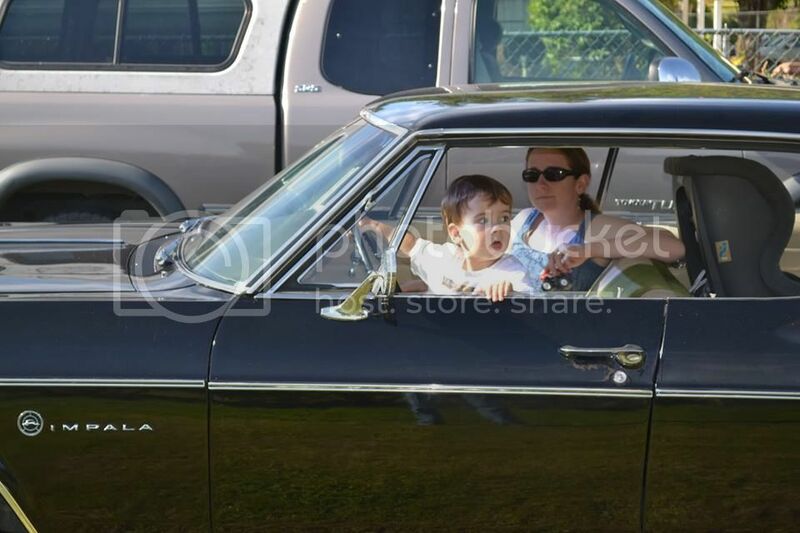 I daily drove a 1970 Impala from 2000 - 2005. Nothing fancy, a 4dr sedan with a 350. It got more attention than anything else I've ever had. It was great on summer evenings - windows down, bare feet on those massive pedals, radio on and my sweetie next to me on the bench seat. There is something special about those cars. 73 Rivera GS, with the 455. I wish i'd kept that car. So much cool. In college I had a 71 Buick Electra 225. We used to put 8 people in that thing to drive to concerts at Blossom Music Center. I will have one again. By the way, drove the wagon to the office today. Pretty sure I drove it to the office every day last week, too. Plus we took it to DeLand this weekend--figure 30-ish minutes each way. It just makes me happy. $1.89 gas is liberating, isn't it? Was in north Georgia this fall for a family visit while enroute to the Challenge. Went to dinner with my brother and Dad, taking his '66 Chevelle. This isn't a pro touring car or drag machine. It's a 4 door hardtop with a mild 327 and an automatic. Picked a place 25 miles from home and cruised at 55 over two lane roads, the low growl of the Chevy playing back ground music through the open windows to our conversation. Couldn't tell you what we talked about, but could have driven all night and never stopped smiling. kazoospec wrote: $1.89 gas is liberating, isn't it? Plus it's not that far of a drive--like 6 miles each way. I figure it's worth it. I think the perfect cruiser would be some huge 70 boat, clean as a whistle or haggard to hell, on bags with some nice plus sized wheels. Done. Forever. if 1/8 of everyone that buys a new SUV for the room would start looking at big old wagons, they'd fall in love and the manufacturers would have to start making them again..
out of all the cars that i've had (easily approaching the 200 mark), i'd have to say that my favorite cruiser was my 68 Chevelle Nomad wagon with the 307/powerglide/4 wheel power drums/big floor mat instead of carpet/black vinyl bench seats combination was the single best for just driving to nowhere in particular. gotta get 9 other people some place 50 miles away? pile them in and go.. my 66 Lincoln Continental 4 door comes in a close second..
For a more modern alternative, look at the mid-'90s GM wagons. They're pretty much the same size but get better economy. JG has a Roadmaster and loves it. And, yes, I realize I could swap an LSx into mine, but it's staying stock. Oh, dear Bob. Y'all are trying to punish me for selling the Le Mans to Curtis, aren't you? David S. Wallens wrote: For a more modern alternative, look at the mid-'90s GM wagons. They're pretty much the same size but get better economy. JG has a Roadmaster and loves it. And, yes, I realize I could swap an LSx into mine, but it's staying stock. If a 4x6 racing Kart can fit in one with the tailgate shut like the 1990 Suburban I had, I will own one. Why so sporty? Because I enjoy the driving experience. My idea of cruising is in the F350 towing a trailer with the race car on it. Oh I get the wagon thing. 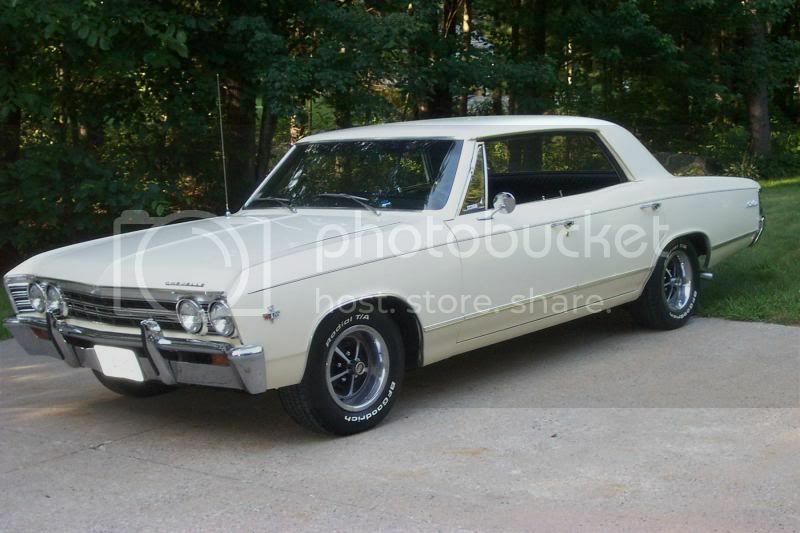 Drove this in college and into my first marriage. It had the third row seat, two-way tailgate, power everything and a column shifter. It would fit a twin mattress in the back with the door closed. It was the best road-trip machine I have ever had. Even near the end of it's life when it was all bondo and primer, it was the best car for heavy traffic. I stopped looking and just pulled out or changed lanes. People saw this hulking beast that looked liked it escaped the demo derby and they moved far, far away. I had a '73 Riviera with rhe 455. A very pleasant beast. Drove from Ohio to Miami with a pop up camper on the back and could hardly tell it was there. Great road car. Don't remember why I sold it, but still have pleasant memories of it. Drop that thing a bit, paint shiny black, a set of good wheels, killer car. There are reasons why I bought this as my first car, and you nailed all of them. I once had this awesome dream where I was hooning a loud, modified, raked and box fendered baby blue Caprice Wagon around a parking lot. It had white wheels, rear were wider than the fronts, and the flares off a stepside truck. Parents always had wagons but I never got the urge as an adult. 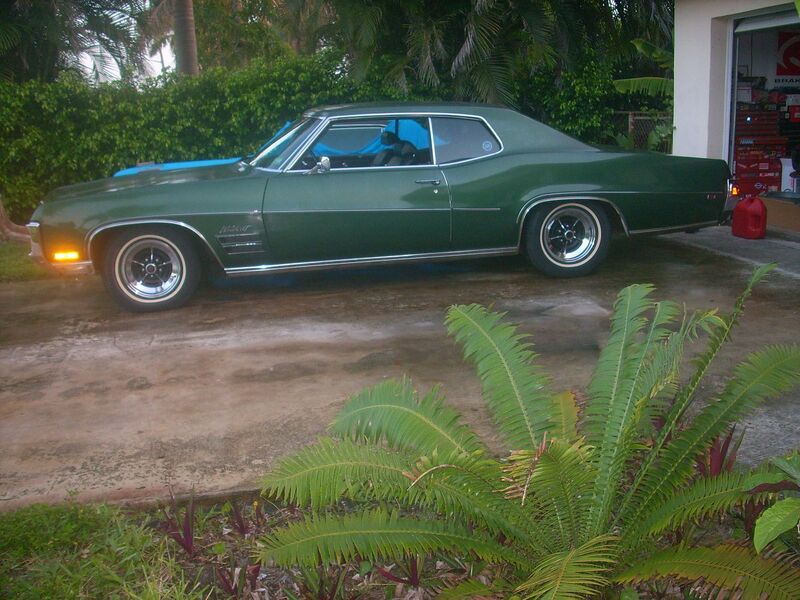 Sold my cruiser last week to help fund my Firebird project. I've been forcing myself to slowly sell down my collection as I get older anyway and now I'm down to 7 from about 15 ten years ago. I sold this time capsule unmolested survivor 70 Wildcat 455 bucket/console with barely over 70,000 miles on it and still sporting the original AM radio and an under dash 8 track player. Riding in it was like being 15 YO again. I had a friend who rolled a 75 Caprice and it was everything you describe. A rolling couch. Massive hood. Highway gobbler. Not my thing but... I get it. The closest I come to that with a wad of dough is maybe a 4x4 pick up from the same era. Like the Fall Guy had. While i don't currently own anything truly huge or land-yachty, i also don't feel the need for sportiness every day. As it is i havent been driving any of my cars that are 'sporty' for months. 3 out of my 4 current DDs (i rotate every few days) are not sporty at all, but fun to cruise. 89 Plymouth Voyager SRT4 van, 82 Lebaron Convertible, 87 Montero 2dr. My 88 626gt kind of implies sportiness but it's really not. It's kind of in between. I'll cycle through another phase of wanting 'sporty' everyday any minute now. Nothing wrong with that! Different cars for different moods, different days.. all part of the fun! A lot of people say "sell 4 old cars and buy one nice one." Those people have no clue what i get from all this. There's a huge amount of gratification from the element of choice and the different experiences between all these different types of vehicles. Even if none of them are in perfect shape, that variety and those choices are more 'luxurious' to me than only being able to drive one 'nice' (by which they mostly mean new) car. tr8todd wrote: Why so sporty? Because I enjoy the driving experience. My idea of cruising is in the F350 towing a trailer with the race car on it. 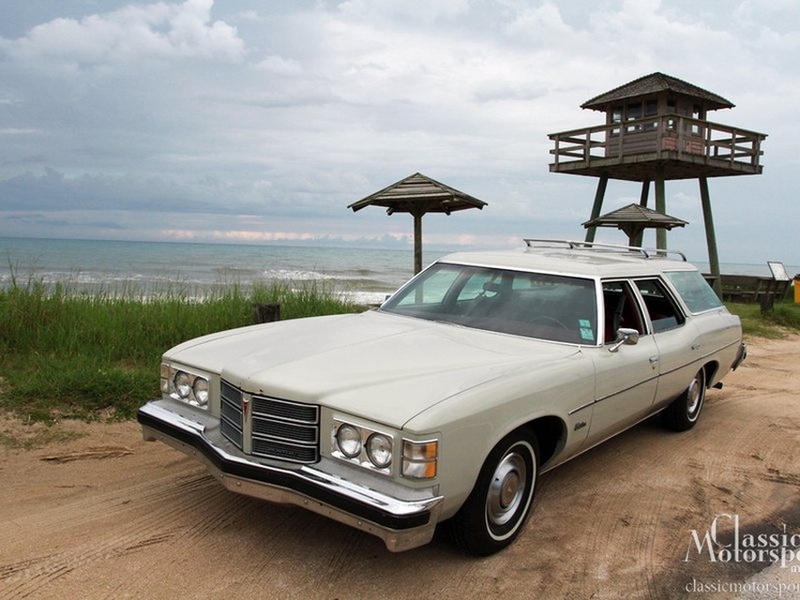 Personally I enjoy the glass smooth ride cruiser type "land yacht" car driving experience just as much as much as I do beating on something rough and loud with tons of feedback.